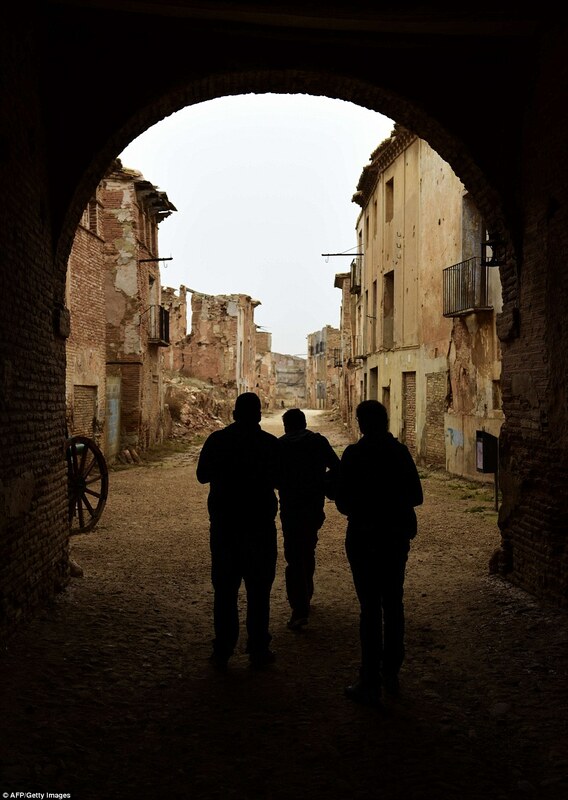 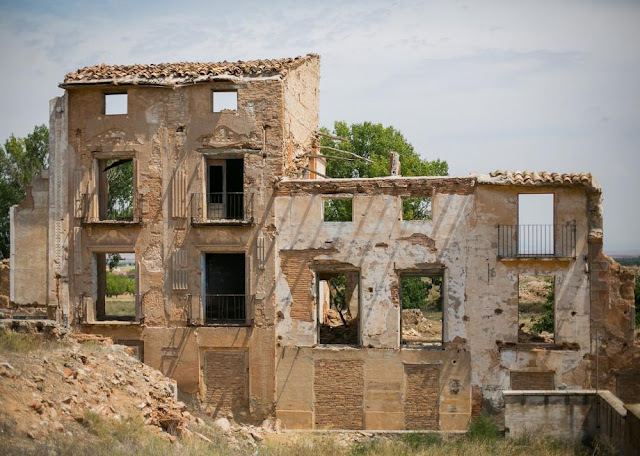 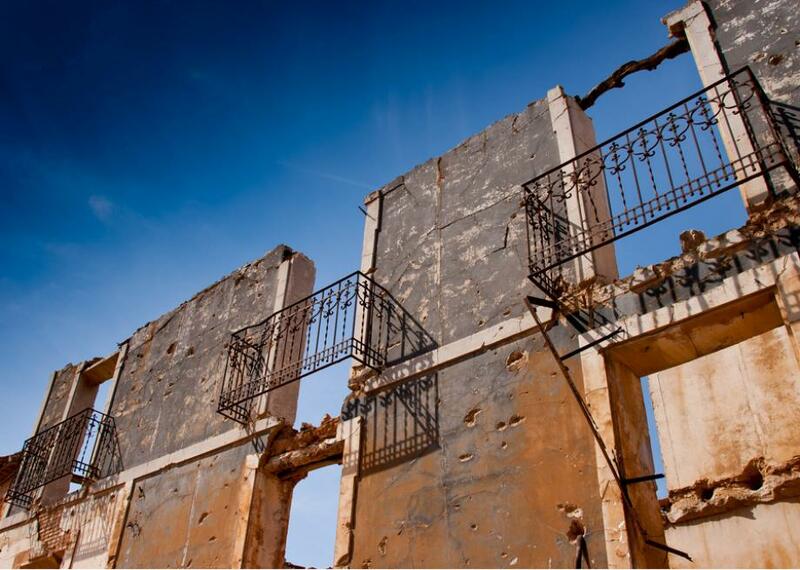 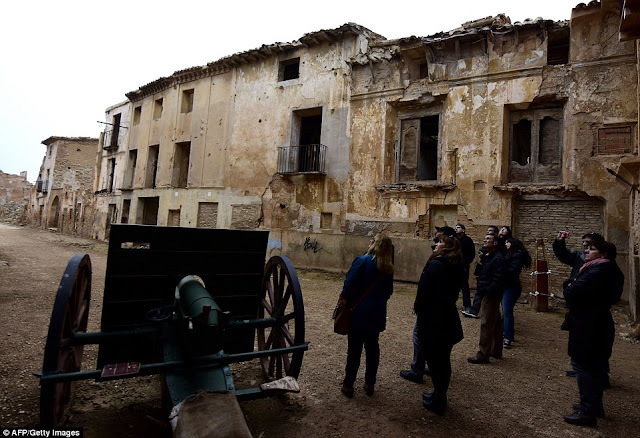 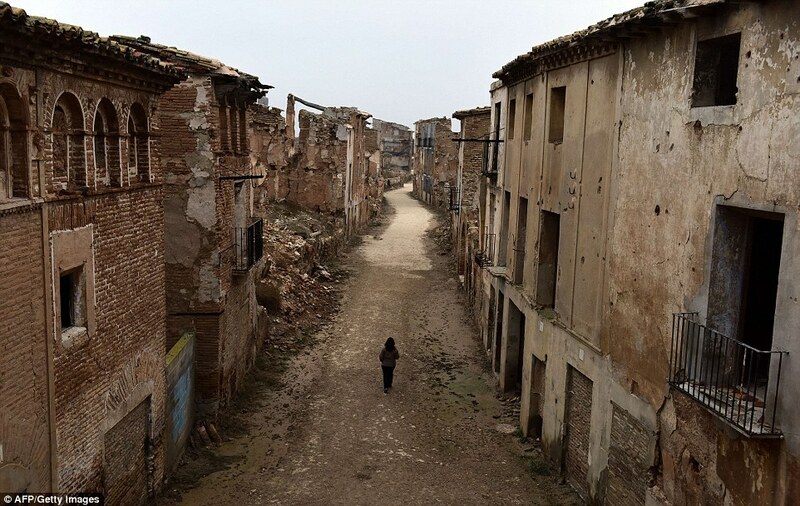 These eerie images show the decimated village of Belchite which was destroyed 80 years ago during the Spanish civil war and has remained untouched ever since, in memory of the 3,000 people who died there. 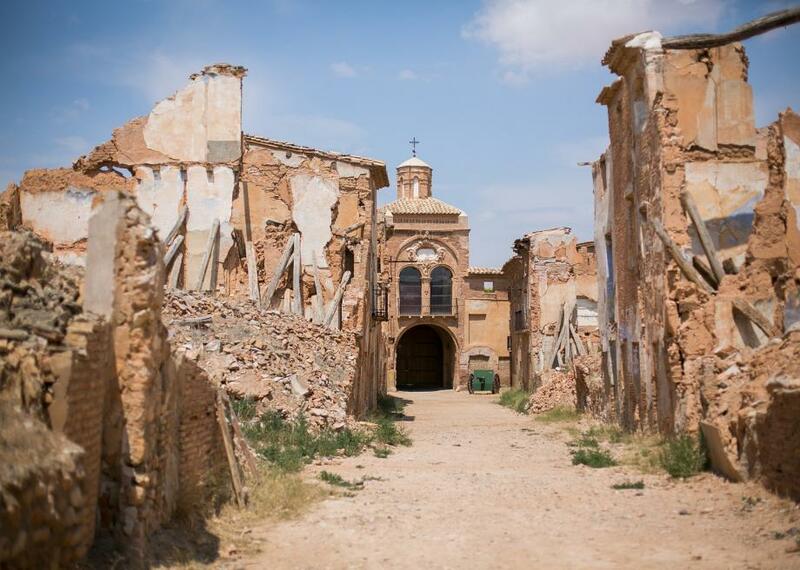 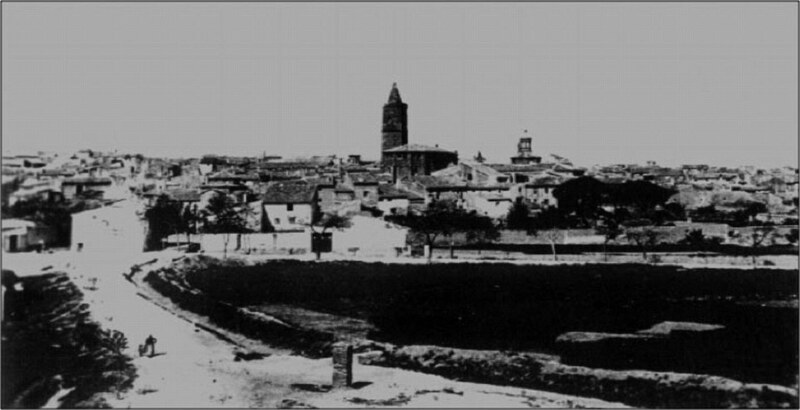 There are actually two villages named Belchite sitting side by side in the south of Spain. 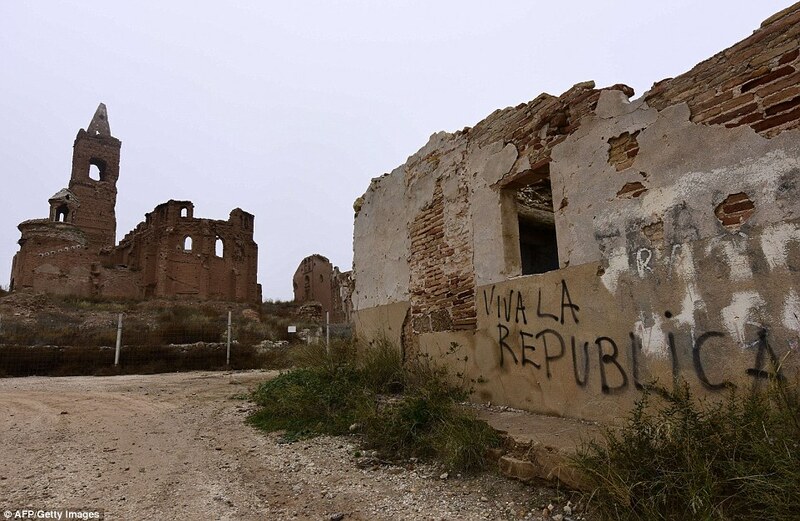 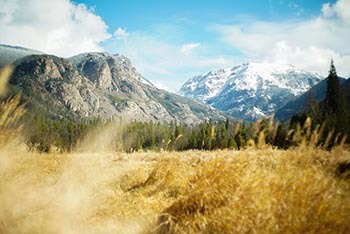 One is home to about 1,600 people - the other is a ghost town which was ruined during a bloody battle in 1939 and left untouched as a reminder of the destruction wreaked across the country. 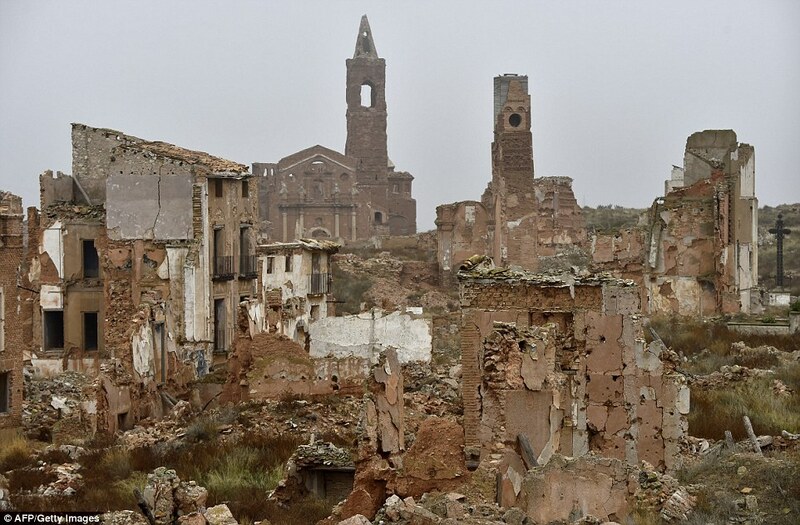 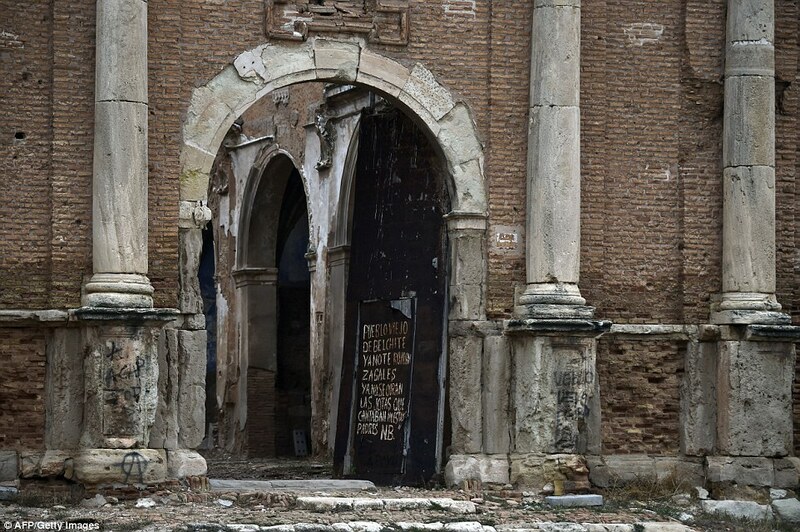 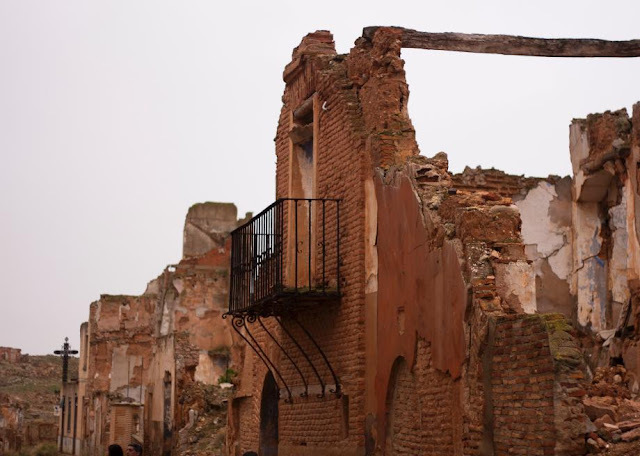 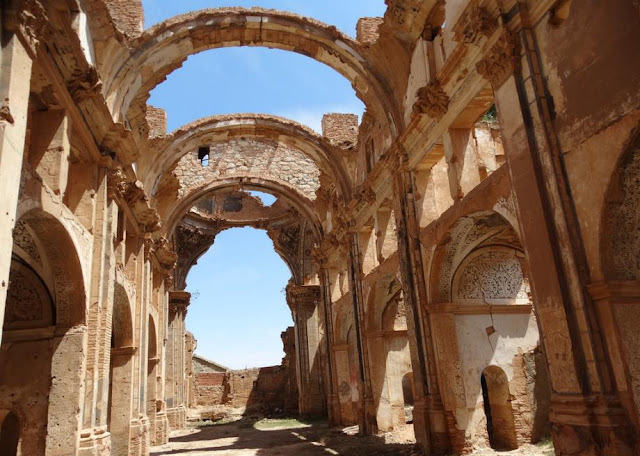 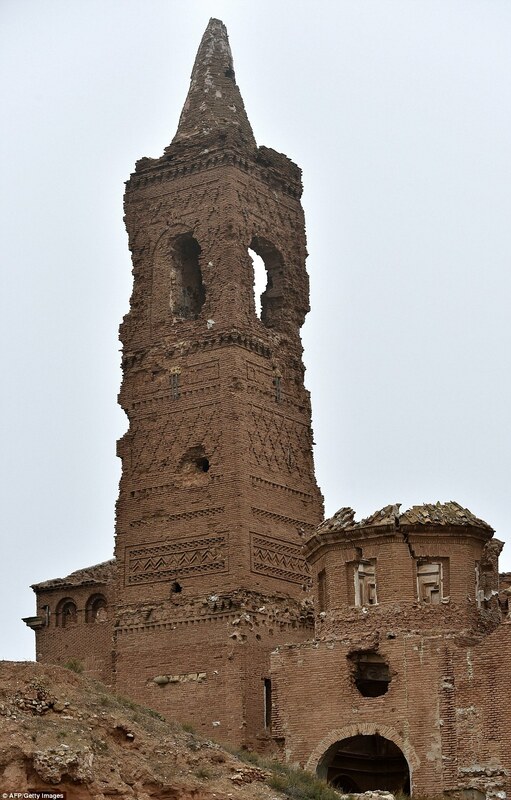 It took just two weeks for Belchite to be destroyed in one of the Civil War's bloodiest battles in the summer of 1937, and it has stood as a monument to the theatre of war for almost 80 years. 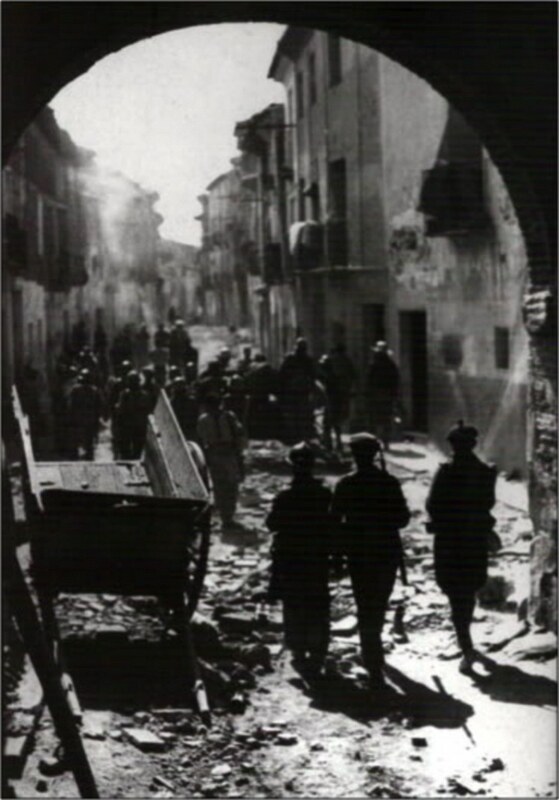 At least 3,000 people died when loyalist Republicans stationed in the town launched an attack in a bid to stop General Franco's Nationalists forces advance further south in summer 1937. 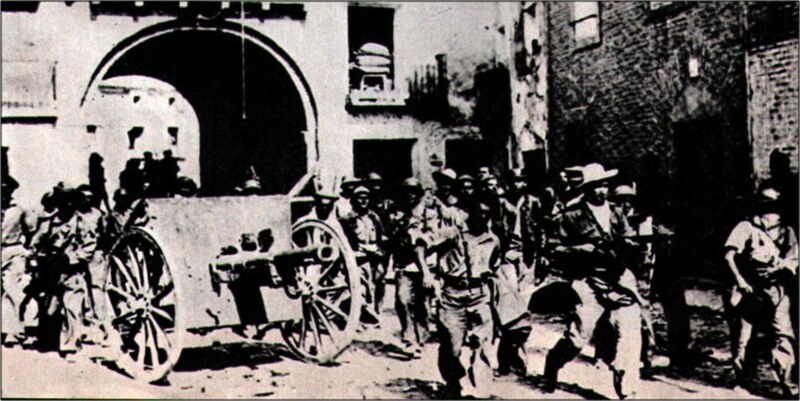 Although they won this particular battle, the ended up losing the war. 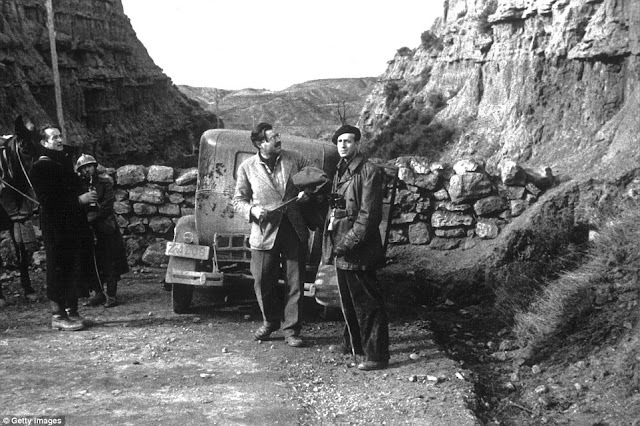 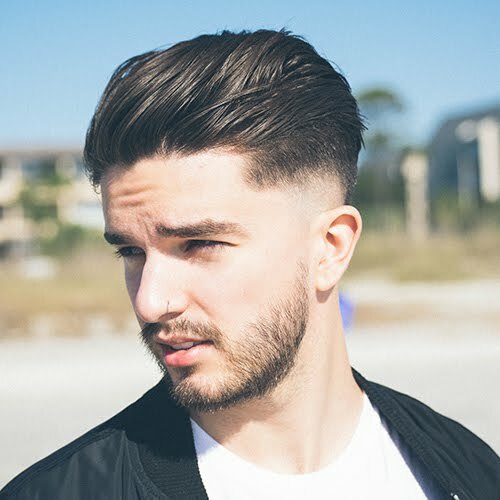 The Spanish Civil War was fought from 1936 to 1939 between the Republicans, who were loyal to the democratic, left-leaning Second Spanish Republic, and the Nationalists, a group led by General Francisco Franco. 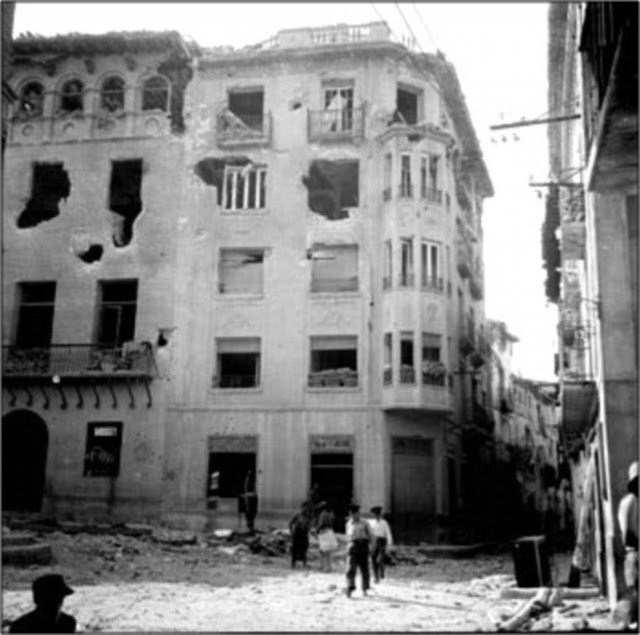 The Nationalists won the war, which killed around half a million people, and Franco ruled Spain for the next 36 years, from April 1939 until his death in November 1975. But before his victory in 1937 Nationalist forces mounted a campaign to conquer the northern provinces, a move which was fiercely resisted by the Republicans.